Western Michigan coach P.J. 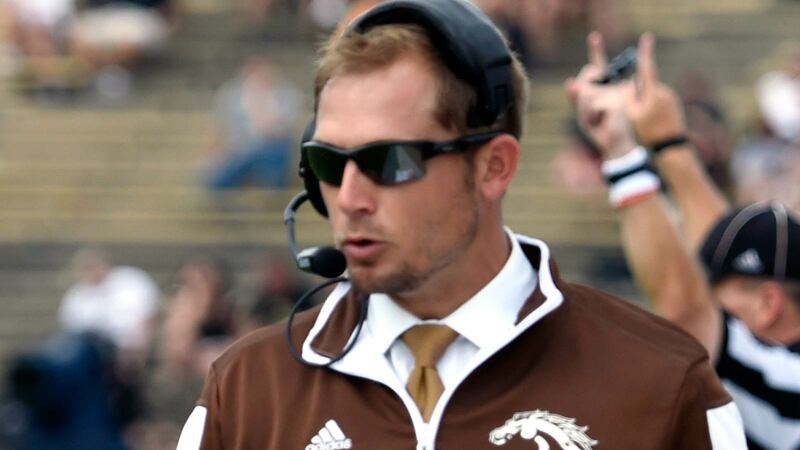 Fleck, 34, is the youngest head coach and certainly one of the most energetic in the Football Bowl Subdivision. But did you know he has wheels, too? Fleck, a standout receiver for Northern Illinois from 1999-2003, showed off his speed Friday night during a 100-yard kick return for a touchdown by Western Michigan's Darius Phillips against Michigan State. While Michigan State otherwise dominated the first half, Fleck at least can claim footspeed superiority over Spartans coach Mark Dantonio (and probably every other FBS coach, too).